This gorgeous watch features a mink leather strap for a classic look. The dial has a stunning floral design which adds a feminine touch to the watch face. 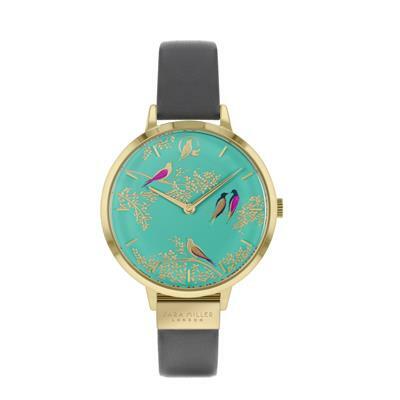 The turquoise green dial with pink birds adds a pop of colour to the watch, which gives it a fun edge and will make it stand out whenever it is worn. Wear this watch with any outfit, day or night, to add glamour and style!